management as well as Earn via marketing of their products and services. local resources by Mrs. Helen Esomo, Technical Director, Nature’s Hand Works. 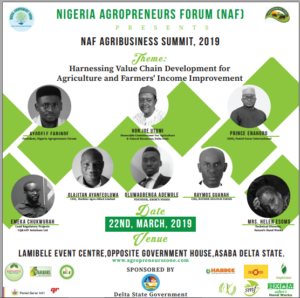 The undervalued economic opportunities in fruit farming in Nigeria by Mr.
Understanding food safety and quality requirements in agricultural value chain by Mr.